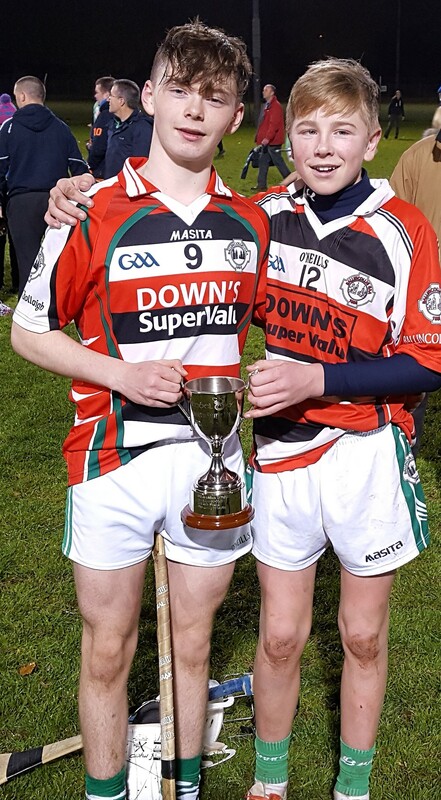 Our U15 hurlers played a fancied Killeagh/Itas side last Wednesdaynight in the final of the P2 hurling league. Conditions were perfectand both sides provided great entertainment for the large crowd inattendance. Ballincollig led by 0-06 to 0-03 at half time. Killeaghstarted the second half strongly scoring 1-02 before Ballincolligreplied with a couple of good points. It was nip and tuck for thesecond half before Ballincollig eventually ran out winners by 0-13 to2-06. Captain Simon O'Sullivan received the cup and thanked hisfellow players and coaches for all their hard work for the year. Abig thank you to John O'Driscoll for serving the hot food to bothteams and supporters and Louise Wills for the teas and coffees. Themanager and selectors would like to thank all the players and theirfamilies for all their efforts throughout the year and look forwardto seeing you all early in the new year. U15 team: Dara Dorgan. Chris Twomey. 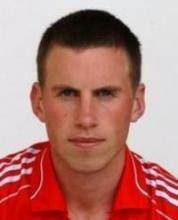 Ciaran Bohane. Matt Bourke.Jason O'Connor. Josh Cotter. Ryan Forde. Conor O'Leary. Steve Wills.Paul Cooney. Sean Ryan. Colin McSweeney. Evan Cooke. John O Driscoll.Louis Heffernan. Mark Oldham. Cillian Lee. Sean O'Donoghue. CathalLyons. Joe O'Leary(inj). Ryan Crowley(inj).